French niche line Dear Rose will launch White Song in September. White Song is the second fragrance in the Songs collection that started with Song for a Queen. White Song was developed by perfumer Fabrice Pellegrin. Notes include ginger flower, almond blossom, night jasmine, white amber and spicy notes. 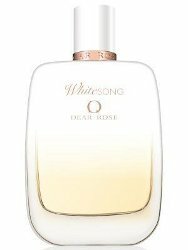 Dear Rose White Song will available in 100 ml Eau de Parfum, €185.